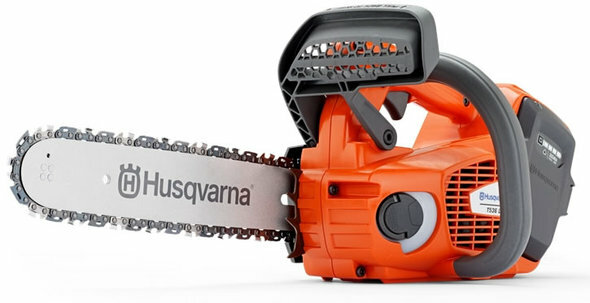 High performance Li-on powered top handle chainsaw perfect for qualified arborists. Extremely light and easy to use thanks in part to an INTUITIVE KEY PAD, and features such as a FLIP-UP TANK CAP and retained bar nuts. The POWEREFUL MOTOR delivers superb torque and a class leading maximum chain speed of 20m/s, which is reduced to 15m/s in the SAVE mode to prolong battery runtime in less demanding conditions. A convenient EYELET facilitates climbing and keeps the saw close to hand.